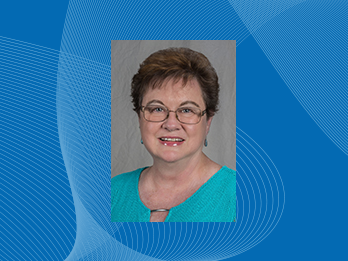 Centerstone recently announced that Cathy Moehring, Vice President of Quality Improvement in Illinois, was awarded the Frank Anselmo Lifetime Achievement Award from the Community Behavioral Health Association. CBHA Board of Directors initiated the Lifetime Achievement Award in 1993 to recognize individuals for their dedication and lifelong commitment to the behavioral health field. “I am truly grateful and humbled to receive this award,” said Moehring. Moehring recently announced that she would retire at the end of 2018 after nearly 40 years of service. Moehring was born in California, but grew up in Du Quoin, Ill. She graduated with honors from Southern Illinois University in 1976 with a Bachelor of Arts in both psychology and sociology. She began her mental health care career at Perry County HELP as a Sustaining Care Counselor in July 1976 and then with the Jackson County Community Mental Health Center (a legacy organization of Centerstone), where she was responsible for a varied caseload of adults experiencing severe and persistent mental illness. Her work included providing task and skill training, environmental assistance, social training, assessments, among other duties. From September 1982 to July 1985, Moehring was the Sustaining Care Supervisor for the same organization. After Moehring graduated with honors with her master’s in 1988, she moved into a new position with the Jackson County Community Health Center – Supervisor of The Network, a volunteer, call-in hotline. The Frank Anselmo Lifetime Achievement Award will be presented at the CBHA annual conference on Monday, Dec. 10 at the Hyatt Regency Hotel in Schaumburg.